I attend a variety of trade shows during the course of the year and it’s always fun getting out to these events and meeting different partners and customers. 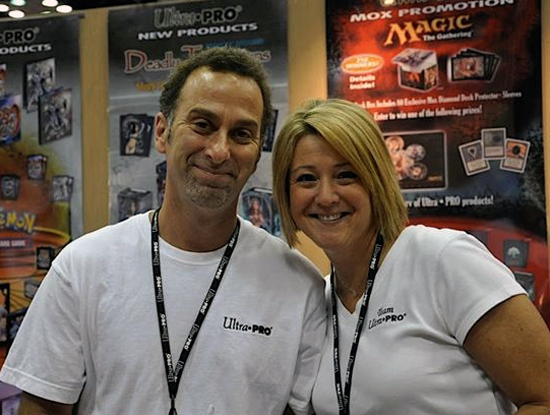 Frequently at these shows I’ll cross paths with Lynne LaPlaca of UltraPRO who is always smiling and usually in the middle of demonstrating some new holder or storage device her company has released. Collectors tend to be pretty interested in the different ways to store their precious collectibles so I reached out to Lynne and she was kind enough to answer some questions for us about the collectible storage business exclusively for the Upper Deck Blog. Check out what she had to say! UD Blog: How did you get in the business? Two key parts of the UltraPRO team; Frank Whittaker (Marketing/Brand Manager) with Lynne LePlaca (General Manager) at a trade show. UD Blog: Do you collect trading cards or memorabilia yourself? If so, what are some of your favorites? UltraPRO's Z-Design football displays are a great way to show off your prized pigskin! 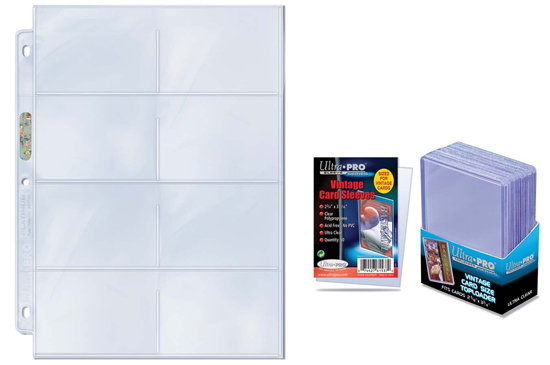 UD Blog: UltraPRO is the obvious leader in the collectibles storage industry. Tell us a little bit about your history. UD Blog: There is competition in your industry. What do you think sets UltraPRO apart from the others? UD Blog: When collectors show off their autographed collectibles, they worry about fading. Tell us a little bit about UV protective cases and what you do there to help protect collectibles from damage that comes from light. 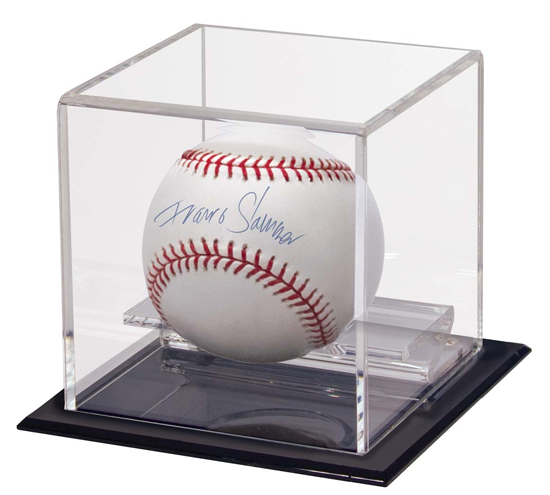 UltraPRO's UV Protected Ball displays are popular for those who want to keep their signature looking sharp on their baseball. UD Blog: Obviously with oversized cards, booklet card and die-cut cards, there are a variety of holders you could make. What goes into your decisions to make or not make holders for new trading cards? UD Blog: A lot of people believe you work directly with manufactures on dimensions and storage devices for new types of trading cards. That’s not really accurate. Give us a behind-the-scenes feel for what it’s like when a manufacturer comes out with a new type of card that needs a new type of holder. UD Blog: Innovation is very important to what we do here at Upper Deck. What has been UltraPRO’s greatest innovation? If you are a collector, you've likely got a few hundred of these filled with your favorite cards. UD Blog: Some of the thicker cards we make like Shield cards are the ones that need the most protecting. What is on the horizon for new releases for thick cards like these, especially one-touches? 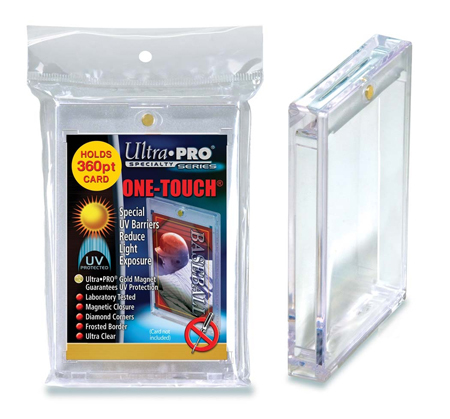 UltraPRO now has a way for you to protect those larger patch and shield cards! UD Blog: We’ve heard quite a bit about a potential booklet card display you may be working on. Anything you can share there? 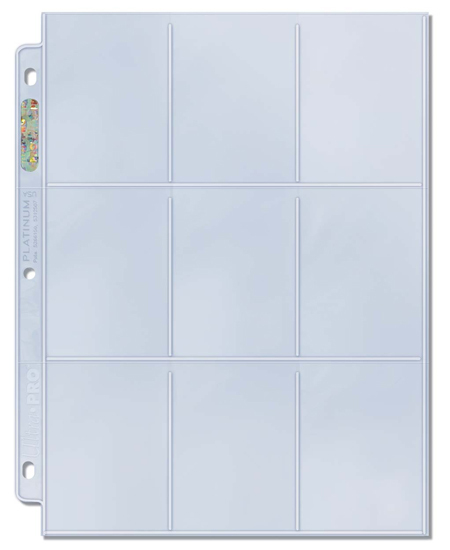 UD Blog: What steps do you take to eliminate scratches on new holders? UD Blog: Fans have also asked about pages that they can put their top loaders or graded cards in. Anything like that in the works? UD Blog: There seems to be the opportunity to get into the field of slabbing and grading. Have you looked at that at all? UD Blog: What about protection for mini-cards with the emergence of new sets with a vintage component? 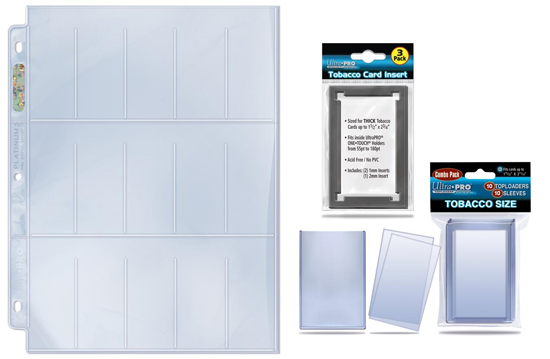 UltraPRO offers a variety of storage options for tobacco sized cards. UD Blog: Have you thought about making the tops of penny sleeves bigger so collectors can get the cards in easier? UD Blog: What do you think your business will be like in 10 years? UD Blog: What else should collectors know about UltraPRO? UltraPRO has it all in terms of keeping your vintage collectibles safe! Thanks for taking the time to share with us Lynne! For more information about UltraPRO products, please click here. If you have additional questions, feel free to post below in the comments section as UltraPRO staff will likely be reviewing this blog! Also: Is UltraPro on Twitter? Chris (UD): The link to UltraPro’s website at the bottom of your article doesn’t work. Thanks for the great interview. I’d like to know why they’ve made their sleeves wider since they dont fit in my pages anymore, they get all creasy and bubbly in there. Bought ten packs of sleeves that is no good for me this way.